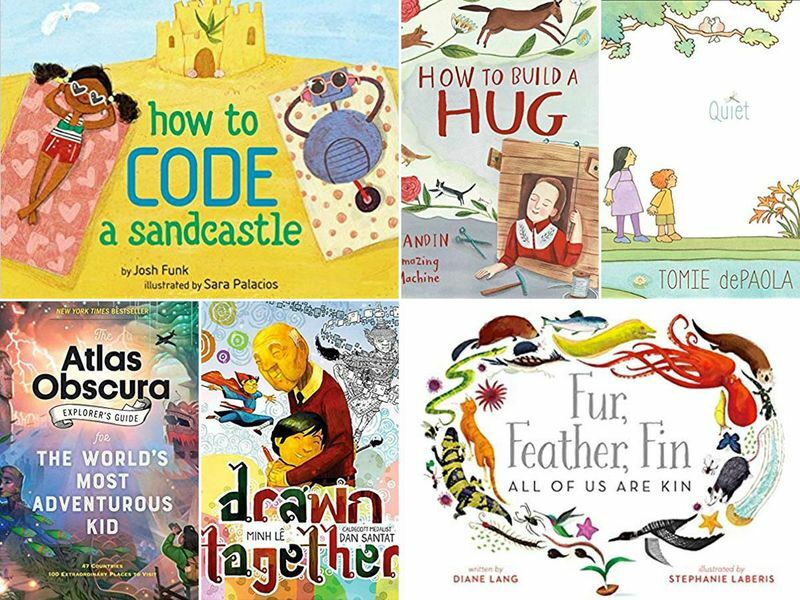 Smithsonian’s Ten Best Children’s Books of 2018 #MakerEducation « Adafruit Industries – Makers, hackers, artists, designers and engineers! Wonderful list from Smithsonian Magazine. I think I love children’s books more than most children. I could spend hours in bookstores and libraries, getting lost in the whimsical story lines and illustrations. Now that I am a mother of two young girls, I find particular joy in introducing them to my all-time favorite characters—Ferdinand, Ms. Frizzle, Amelia Bedelia—and in discovering new stories that are quickly becoming their classics. When my four-year-old (think: a little Ramona Quimby) had a rocky transition to preschool, one of the first tools I used to help her navigate the situation was a book—The Kissing Hand, by Audrey Penn. For weeks at drop off, like Chester Raccoon and his mother, we kissed each other’s palms, and her anxiety melted away. As a parent, I was reminded of the incredible value of books, as prescriptions for everyday problems.